Every race should be hard and tough to make that podium….. When I say “use every tools in your quiver” doesn’t mean use the best equipment to finish the race. Best equipment is half of your battle on your race day. 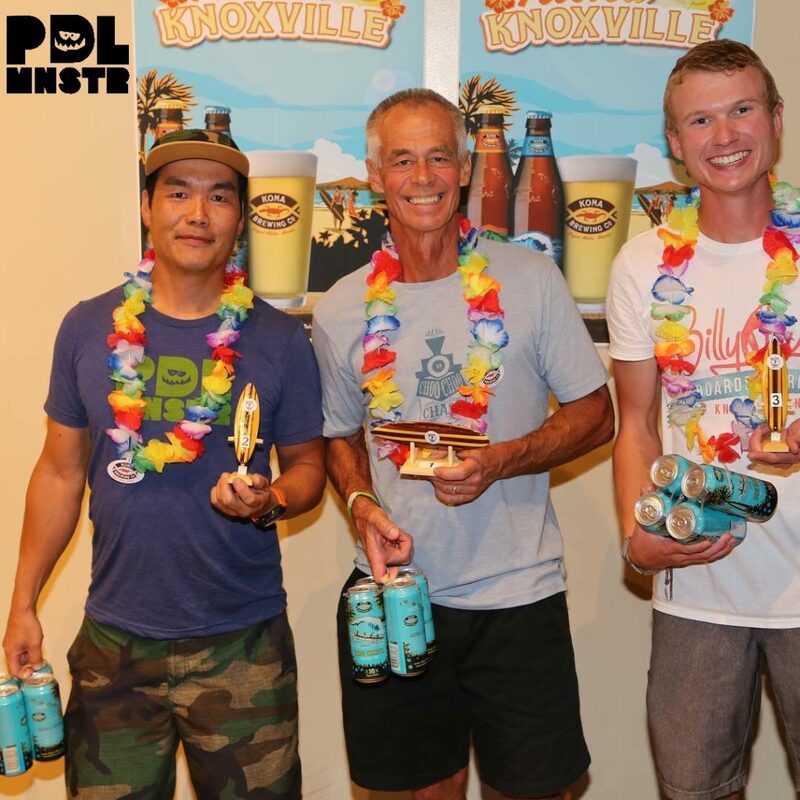 Pre-race prep, hydration, gel , food intake , pre mental preparation and during the race. Podium part of any races but what’s important is how well did you perform that day. 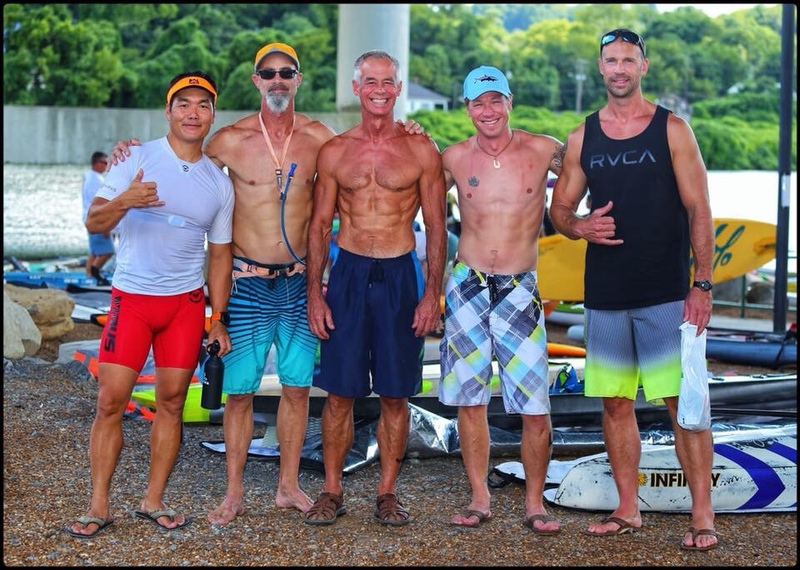 Recent race at Knoxville, TN for “Livin’ Lush 2018” 6miles (@5.88miles) on 8/4/18 was brutal weather condition on a flat water race. There is a few races every year that really gets me and this is one of them. Race that start 5:30PM is game changer for many of us normally race in the mornings. 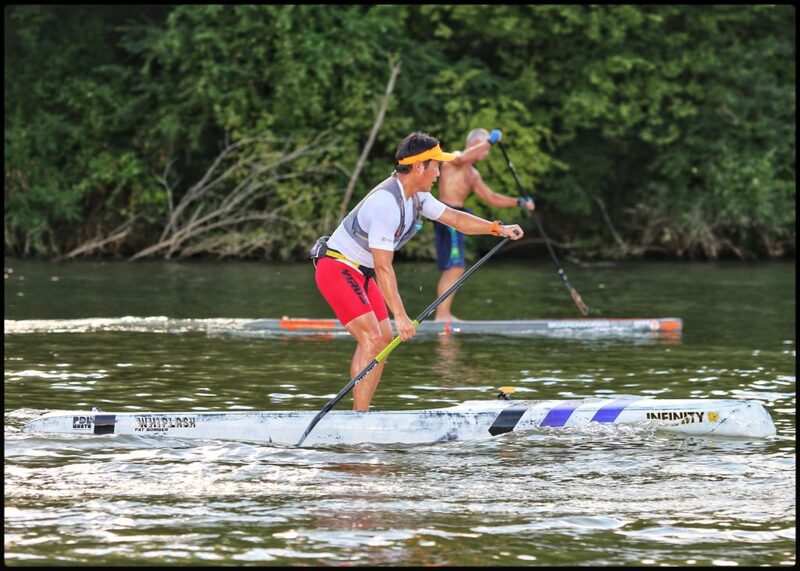 This race back in 2016 was started around dusk and raced in dark river with log floating around. Night race was quite fun but still no different then any races. Back to this years race and it was hot and humid. Most of us has experienced heat exhaustion and everyone had a tough time. Race course changed from last year with single lap style course instead 2 laps with different route paddle up river twice. Average of 15-17min more on the water time last year then last year. River didn’t had much movemnet and there is very little difference in speed averaging about .5mph to .75mph at most. We had very little boat traffic to deal with but coming down the river we had direct sun and humidity that hit us hard including myself. Heat exhaustion took my body to overdrive while pushing hard as I can. Heart rate was running at L5 HR Zone for 95%.. You can see from the GARMIN HR chart how much I was pushing through. You will find in the 2nd photo for duration of my L5 Zone. Right after the race I text my coach Larry Caine and share below my HR chart. His exact word was ……. I always able to push very hard when I used to race mountain bike in early 2000~2005, During the course of over 2 years training under coach Larry Cain’s guidance I have improved tremendously with right training program. 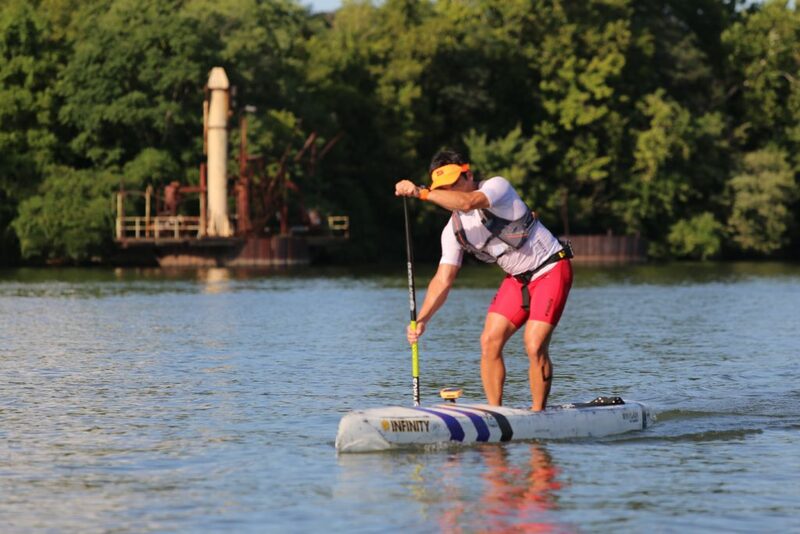 In Paddle Monster training program we like the hash tags “#TrainingWorks & #LoveTheConditions”! Truly this is the right word of wisdom in our training minds. It’s been about decade ago I had similar level of heat exhaustion. I still remember that day when I was out on road cycling and heat index hit close to 105F to 110F. This time temperature was no near 100F but humidity was at 100%. It was very much a silent killer till I “cracked” and start to loose output in my paddle. There is nothing worse then you start to loose your speed and standings. I was pacing half of the race in 1st place till my friend came right next to me. I tried to draft with him but when person paddles zig zag it is very difficult to get draft. You can loose your energy just trying to get draft so sometimes quick decision needs to be made and realize the reality of loosing your spots. 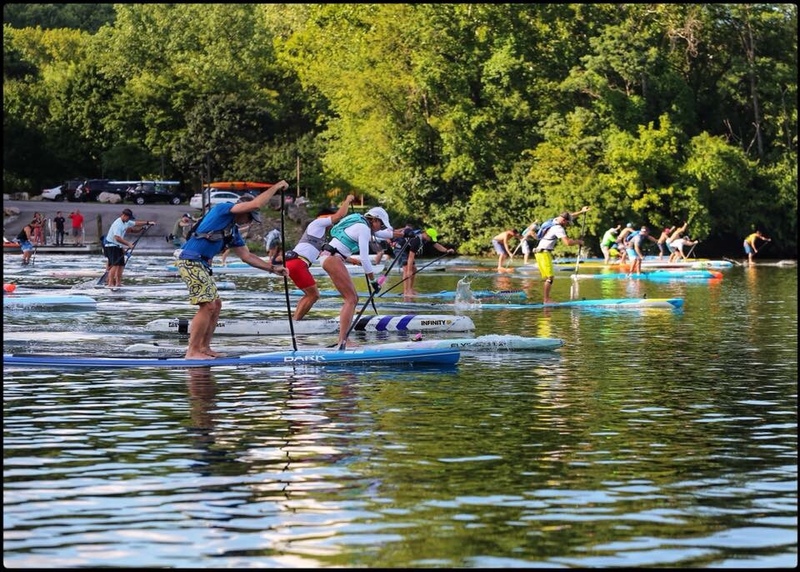 Mental do play more then physical during the race and it becomes stressful to see the distance between you and paddler front of you. How do you train to be mentally ready? I mostly train solo 6 days a week during the summer seasons. It’s nice to have training partner here and there but training solo do plays good roll for your mental preparation. Leaving drafting out of the equation you are mostly likely solo on water to finish the race. I say most of our races end up with small group of people that can able to draft each other but other time you are alone yourself. It takes huge concentration and your commitment to push it through the hard times. Never loos the rhythm of your paddle strokes. We all have different gear and use every gear you have but never loose the rhythm. How do you see that in your GARMIN or Speedcoach? I had some issues with my speed coach but GARMIN shows I was pushing @10ft per/stroke. 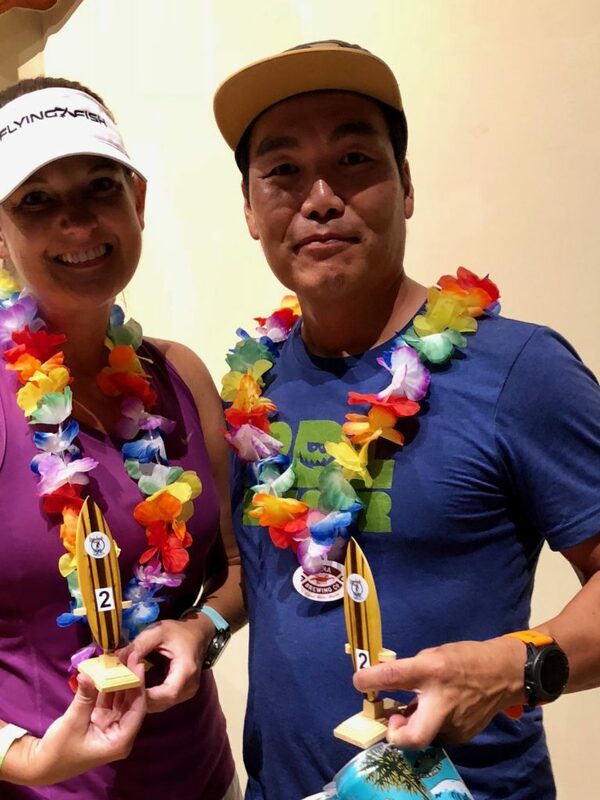 Usually I’m in mid 9′ per stroke but because I was pushing so hard in order keep going forward I also had to slightly pause between the stroke which lead to little extra glide and also changing in gear throughout last half of the race. 2nd place podium was definitely hard earn standing specially few min behind coming into the finish line. Sometime in those hard time keeping your standing , speed and rhythm is all you can do. Last 1miles left at buoy turn I glanced who was behind me and I knew I was keeping my position. One of many thing I have learned from Coach Larry Cain is not not get distracted by I got my podium position or get relaxed. Keep paddling hard and finish hard. I definitely used up everything I had and results was 2nd place but no regrets to the performance. I think when you perform best of your ability you deserve everything. At the end of the day we all enjoy after party/award and chat with your buddies talking about the race. Time to close this blog. Off to the next race and see what happens.